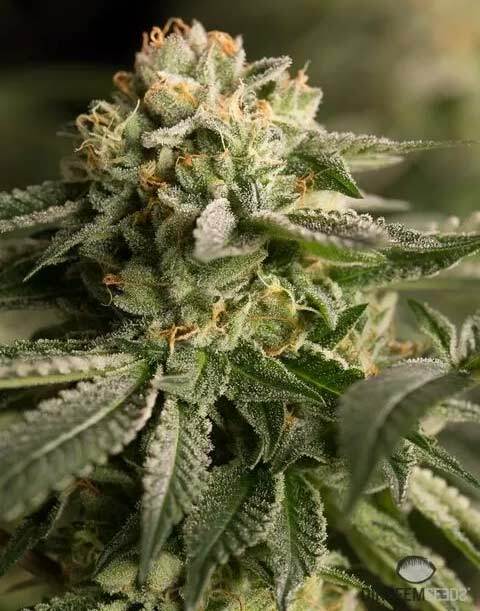 Dinafem Remo Chemo female seeds produce a cannabis plant with a Very High (20-25%) THC content, Photoperiod genetics and a flowering time of 9-10 weeks. 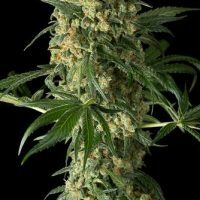 Remo Chemo female seeds has a genetic makeup of Remo Chemo x Remo Chemo and has a taste described by the breeder as ‘Earthy, Kush, Pepper, Petrol’. Buy Dinafem Remo Chemo female seeds at the lowest price online now! 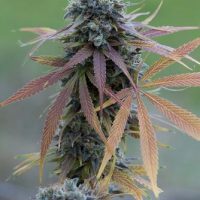 Remo Chemo by Dinafem Seeds is a feminised cannabis seed created as a result of the Canadian cannabis grower Urban Remo and the seed bank Dinafem Seeds deciding to work together. Her origins lie in a Remo Chemo cutting, a cannabis strain developed by Urban Remo by crossing a UBC Chemo and a regular Bubba Kush male. The outcome of such project is a potent and stable Indica-dominant marijuana strain with high THC content (24 %) and remarkable therapeutic properties. Remo Chemo is a major achievement for the Dinafem team. With this cannabis seed, everyone can now grow a strain that until now was only available in Canada, in clone form. The highly reputed cannabis grower Urban Remo has been so kind as to put at this projects disposal his favourite strain, UBC Chemo, developed by the University of British Columbia (UBC) for treating the secondary effects caused by cancer and cancer treatment. Remo Chemo turns into compact marijuana plants with a beautiful dark-green colouring that, at the end of the flowering, becomes purplish/almost black. 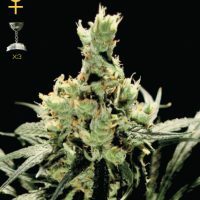 This Indica-like plant, with broad leaves and heights of up to 250 cm, produces round and homogeneous ball-shaped buds overflowing with resin. When it comes to the best way for cultivating Remo Chemo, making sure the environment is dry and well-illuminated, and the plants are not overfed is the key to preserving their identity. Remo Chemo showcases very intense flavours and aromas, similar to the ones offered by legendary Cali genetics, with notes of Kush, earth, petrol and pepper. 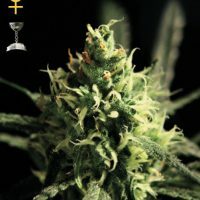 In accordance with her Indica personality and high THC content, she produces a highly physical effect of great potency. Therapeutically speaking, her effect is really effective in relieving the side effects of cancer treatments (nausea and vomiting) as well as in boosting the appetite. Apart from actively participating in the cannabis field, the Canadian Urban Remo has created a line of fertilisers called Remo Nutrients: a range of products that provides their cannabis plants with all the vitamins, minerals and extracts they need to grow strong and produce top-quality crops. Relieving the side effects of cancer treatments (nausea and vomiting) as well as in boosting the appetite.